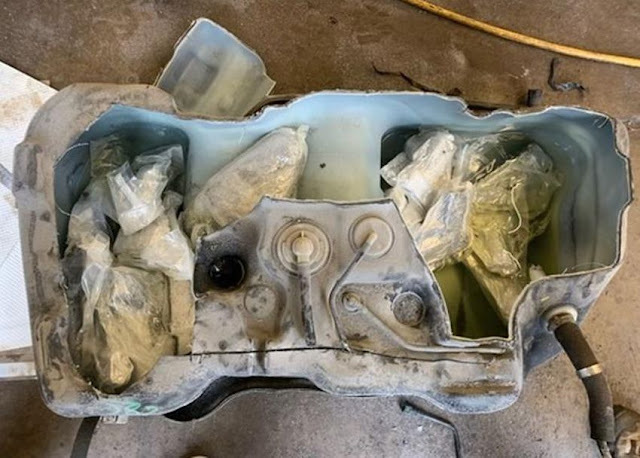 Twenty-five handguns were smuggled in the gas tank of a rental Nissan Rogue that was driven by a Toronto woman across the Peace Bridge into Fort Erie on the evening of Oct. 31. Each of them was individually sealed in plastic. 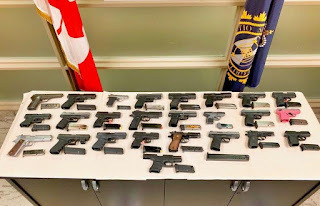 The handguns were legally purchased in Florida and Georgia for between $300 and $500 and then smuggled across the border, where they could be sold on the streets of Toronto for between $2,000 and $5,000. Rima Mansour, 50, of Toronto, Alan Cunningham, 52, of Brampton, Colin Levy, 52, of Brampton, and William Datta, 41, of Ajax face a multitude of charges.